The rapidly rising price of bitcoin is leading many to question if the digital currency’s boom is about to bust. Strategist Peter Schiff, for instance, recently warned “today’s bitcoin could be tomorrow’s beanie babies.” As of this writing, bitcoin is up almost 30 percent in the past month and over 100 percent in the past year. It has been hitting new highs on an almost daily basis and recently crossed the $1,200 mark. So is there a bitcoin bubble about to burst? As of this writing, bitcoin is up almost 30 percent in the past month and over 100 percent in the past year … So is there a bitcoin bubble about to burst? To try to answer this question, let’s apply the framework for spotting bubbles that I articulated in my 2011 book, “Boombustology: Spotting Financial Bubbles Before They Burst.” The approach is based on the application of five lenses and generates a probabilistic assessment of a forthcoming bust. Most mainstream economic theories utilize a supply and demand driven price determination model that generally results in prices tending toward equilibrium. I say “tending” because most serious scholars admit that behavioral and informational issues can distort the price at any one point in time, but there exists an overarching belief that such distortions are rapidly ironed out. Markets are, according to this view, basically efficient. Higher prices dampen demand, and lower prices disincentivize supply. But what if that’s not true? What if higher prices increase demand? Such a dynamic might arise for many reasons, but one eloquent explanation is the “Theory of Reflexivity,” as proposed by George Soros. Although it has many subtleties beyond the “self-fulfilling” logic that many ascribe to it, the underlying implication is that prices can and do tend away from equilibrium. The result: booms and busts. READ MORE: In the age of the Panama Papers, is Bitcoin technology the future? So has the higher bitcoin price been accompanied by higher demand? It’s unclear. The evidence is mixed. On the one hand, it sure seems that as news about and interest in bitcoin rises, so does its price. It’s been seen as a safe-haven asset during times of elevated geopolitical, financial or regulatory risk and may even attract price-insensitive buyers at those times. But on the other hand, the volume of trading has not gone up as prices have. And while volume is at best a crude proxy for demand, it tells us about the general activity level. Lens one: half-check. Another telltale sign of a bubble is the presence of significant leverage supporting lofty prices. And while it’s unclear if bitcoin prices are bubbly or not, I don’t see any evidence that leverage is fueling the potentially elevated prices. There are no futures contracts that enable large exposures with minimal collateral. There are no options that provide de facto leverage. Sure, some investors may be utilizing other collateral to secure credit that is in turn used to buy bitcoin, but this is impossible to track. Another telltale sign of a bubble is the presence of significant leverage supporting lofty prices. But more importantly, perhaps, we can look at the amount of debt that has been holding up many of the countries that back traditional fiat currencies. (Hint: it’s not a small number!) In addition, the fact that printing presses around the world continue to print more and more money implies that traditional currencies are being debased at an alarming rate. With a fixed algorithmic release of additional bitcoins into the market and a cap on the total number that will ultimately be issued, the cryptocurrency represents a non-printable currency (similar in this respect to gold). Lens two: blank. Overconfidence and new-era thinking are the hallmarks of my third lens, psychology. Whenever individuals develop a devout belief that “it’s different this time,” buyers beware. It is rarely different, and asset prices have never risen indefinitely. Rather, they generally go up and down, and in this regard, bitcoin prices are no different. And like gold bugs, bitcoin believers tend to exhibit religious conviction in the cryptocurrency’s ability to store value. They often go further, suggesting the amazing upside potential they exhibit. 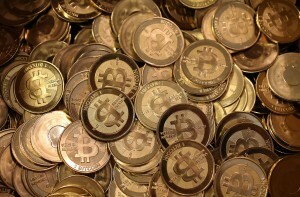 Internet analyst Henry Blodget has even suggested bitcoins could be worth $1 million per coin. In fact, CNBC’s Brian Kelly described bitcoin as “not just digital gold … it is a once-in-a-generation investment opportunity, similar to the internet, growing just as fast, if not faster … it’s the internet of money.” Lens three: check. My fourth lens is politics, broadly defined to include both regulations and moral hazards. As with any asset, regulations can distort prices by either artificially increasing or dampening supply or demand. Just think of what happened when political motivations to increase home ownership in the United States nudged more and more people into houses. Without the political incentives, prices may not have risen as handsomely as they did during the housing bubble. Further, the moral hazard endemic in the use of government sponsored mortgage finance enabled lenders to play a game of “heads I win, tails you lose.” If loans worked out, the lender profited. If it didn’t, Fannie Mae or Freddie Mac bore the losses. When it comes to bitcoin, are there any artificial government interventions that are supporting bitcoin prices? No. On the contrary, regulators are trying to discourage interest in bitcoin. Just look to China, where its major bitcoin exchanges were effectively shut down last month by government officials. But as noted by Elaine Ou in Bloomberg View, “even China can’t kill bitcoin.” Bitcoin prices briefly fell upon the news, but quickly recovered and marched higher. They’re up more than 25 percent in the three weeks since China tried to control trading. And when it comes to moral hazard, there are no signs of it in bitcoin land. No one bailed out those who lost millions when bitcoin exchange Mt. 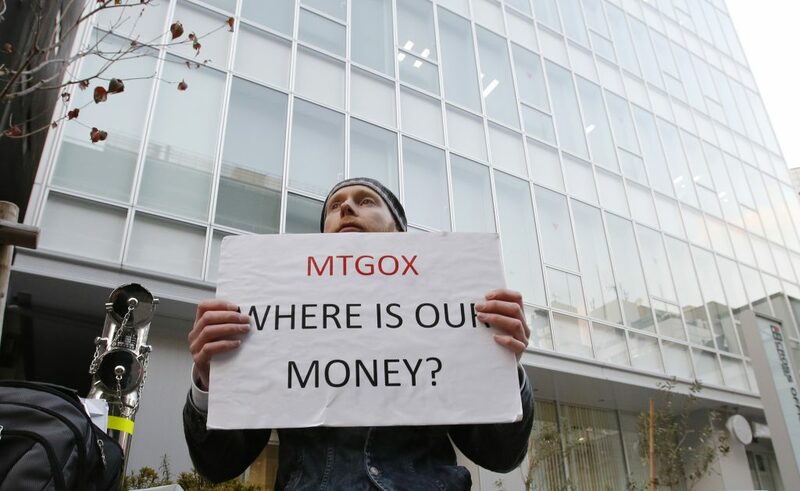 Gox filed for bankruptcy. 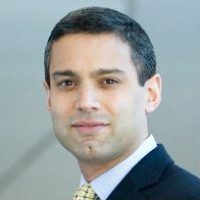 No regulator prevented or intervened to manage the governance disputes that arose on the bitcoin algorithm. Many bitcoin market participants are transacting with open eyes, fully aware of the risks of doing so. There is no FDIC protection, no Federal Reserve put. Lens four: blank. An application of epidemic logic to the study of financial bubbles can help gauge the relative maturity of manias. If we analogize an investment hysteria to a fever or flu spreading through a population, the variables of concern to us would include the infection rate, the removal rate, and perhaps most importantly, the percentage of the population not (yet) affected. The last metric can be thought of as the fuel available to keep the fire burning. Once we run out of people to infect, so to say, the party’s over. New demand will disappear. Prices will fall. When it comes to bitcoin, the number of potential buyers (that is, those still vulnerable to infection) is very large indeed. To begin, it’s not particularly easy to buy bitcoin, and that’s deterred institutional investors. Specialized exchanges, online wallets and the need to protect private keys create huge friction in transactions, keeping many potential bitcoin buyers away. There isn’t an ETF, at least not yet. Stay tuned, however, as an ETF is in the works. And if approved (we’ll know more later this month), the Wall Street Journal notes it might generate a buying frenzy with up to $300 million of inflows during the first week alone, a volume that dwarfs the currently traded daily value of any bitcoin exchange. And with a current market capitalization of around $20 billion, the bitcoin market is miniscule relative to its potential. Consider that the value of privately held gold is in the trillions of dollars or that the global remittances (a potential use for cryptocurrencies like bitcoin) currently tally into the hundreds of billions of dollars. The bottom line is that bitcoin just isn’t as widely held or used as it could be. There is still an enormous population of potential buyers waiting on the sidelines. And in a recent Twitter poll conducted by investor Mark Hart, only 22 percent of respondents indicated that they were “Max Long” bitcoin, with 49 percent “Planning to buy/add” or “Curious.” Lens 5: blank. So on my five-point scale, with five being a “virtually certain bubble likely to burst imminently,” bitcoin only registers one and half points. On the margin, this means that the stage may be set for it to become a bubble, but it doesn’t appear to be one yet. It may one day become a full-blown bubble with high bursting risk, but the evidence doesn’t suggest we’re there yet. Recall that government attempts to contain bitcoin have failed, anointing the cryptocurrency with a “forbidden fruit” status and driving new demand. Or that the possibility of an ETF or other investment instrument may emerge to ease the frictions of purchasing bitcoin. While short-term price corrections are always possible, there are compelling reasons to believe the long-term outlook for blockchain-enabled currencies like bitcoin is bright. While short-term price corrections are always possible, there are compelling reasons to believe the long-term outlook for blockchain-enabled currencies like bitcoin is bright. If you’re looking for beanie babies, you best look elsewhere.